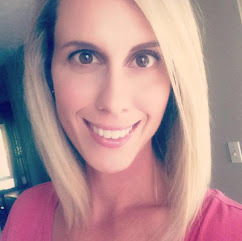 My friend, and new sponsor, LC is hosting a Fashion Friday link up and I thought, "I love it when people link up with me so it's time to return the favor!" You should too. Today it's all about the purse! 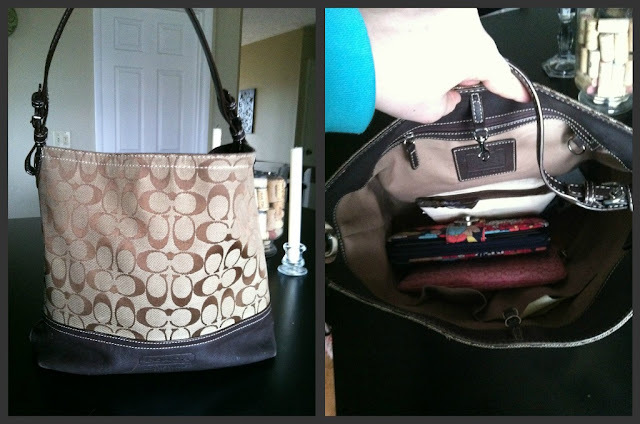 Lots of girls have done this, I did it a long time, and like 4 purses, ago so I thought it was time for an update. The purse of the moment? I don't really love this purse. To be honest I'd much rather carry my Old Navy cross body but it's just not big enough right now. When we are just going on a quick trip I can just toss a sippy, diaper, pack of wipes in this bad boy and go, no diaper bag necessary. So right now I'm on the hunt for the perfect cross body and I think I found it. Now, what's in my bag? Sure thing. *This item actually doesn't even work, the batteries fell out in Kroger yesterday and I didn't bother to pick them up, sorry KP. **Be thankful it's not mayo. I used to carry mayo packets in my purse. ****Best wallet you will ever own. Has so many card slots I don't even know what to do with myself. Oh I'm not sure Jimmy would like you calling him a cry baby on the web. Hahah! I love that you carry coffee creamer around with you! I am just a tiny bit obsessed with coffee creamer, too. I literally have 3-4 bottles in my fridge at any given time! I love these kind of posts. and you carry coffee creamer> hilarious! I have the same exact bag but in pink. However you will never see me posting pictures of the contents of my purse. N-E-V-E-R. It's not a pretty sight. Ha! I carry mayo packets in my purse. I have no clue why...but I have them! I just carry my crossbody. I'm sure I have way too much stuff packed in it...but it's convenient when I have my hands full with other more important things. I was already a Vera fan, but I just recently got that wallet and I will never own another! If they ever discontinue it I will have to buy extras to last me! 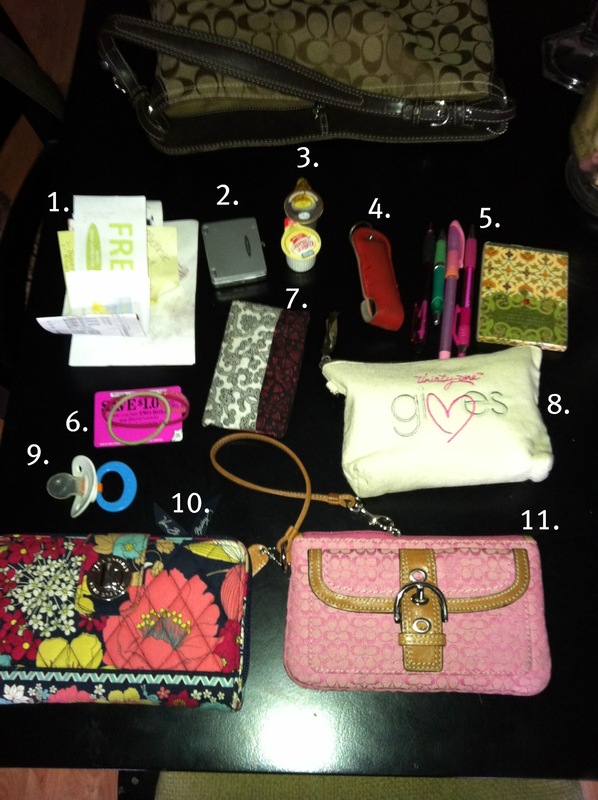 Your purse is WAY neater than mine! I would be embarassed to show mine in a photo, there is probably 20 recipts in it, most of them in a wadded up mess and none of them need to be kept, I just don't take them out. Fashion is very necessary in modern century.